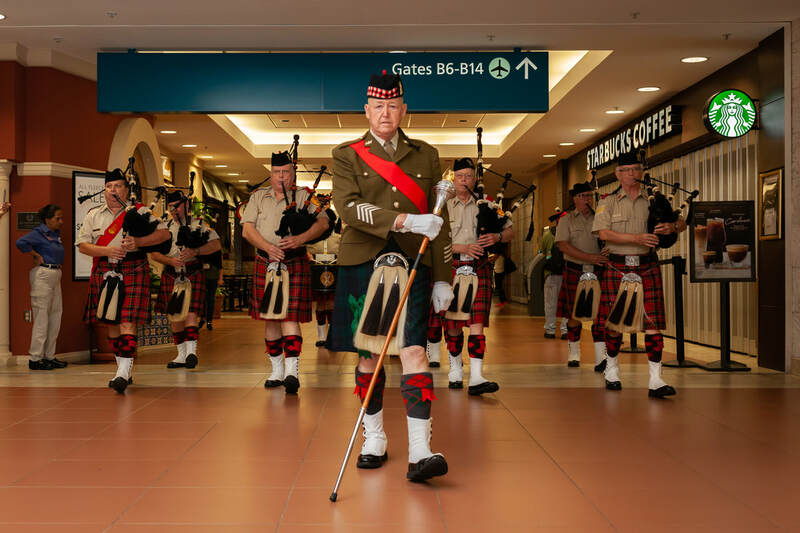 " HONOR FLIGHT HOMECOMING "
MAY 11th ....... SATURDAY ...... 7:00 p.m.
Palm Beach Pipes and Drums, Is the area's Most Popular Pipe Band. We have maintained a full calendar of more than thirty performances every year, for decades. Past performances have been in Palm Beach County, Martin County, St. Lucie County, Indian River County, Broward County, Dade County, Orlando's Universal Studios and Fort Myers. Now in its 4th Decade, our past performances have consisted of any number, from a Solo Piper, up to a 24 member full band. Also, our events have consisted of, Marching Band displays, Non-Marching static plays, even a Combination of both, for many different types of event. The band has been hired multiple times to share the stage with Professional Touring Musicians, with the latest having taken place at the Kravis Center for Performing Arts, in West Palm Beach. We can do it ALL, have done it ALL, for ALL types of events, for the last 39 years. Truly a "Premier Performance Pipe Band". We are always looking to recruit new members, for both the Pipes and Drums. The band wears a traditional military style uniform, featuring the Red MacPherson tartan, and has always been known for looking very smart in any of our uniform combinations. 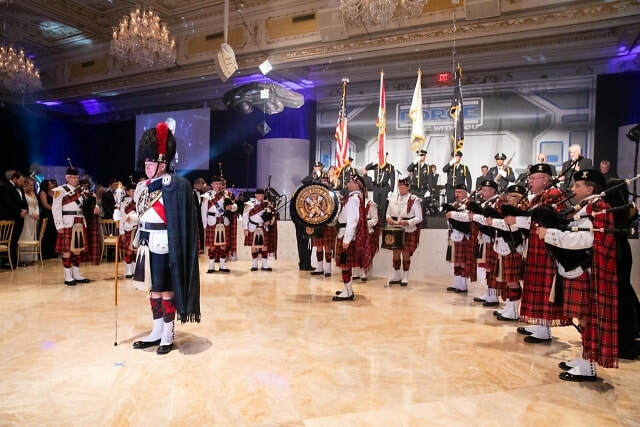 Pipe Major Allan Baird has successfully led the Palm Beach Pipes and Drums since 2013 . Please visit our Gallery Page for Pictures & Videos.